All children are required to wear our school uniform as it encourages a sense of community, belonging and pride in our school. All items of clothing should be clearly labelled with the child's name and the PE kit kept in a suitable bag on the child's cloakroom peg to enable full participation in all PE activities. Children will also require their own swimming costume/trunk, towel and swimming cap, as they will participate in swimming lessons during certain terms throughout the academic year. 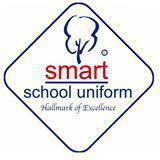 Our school uniform supplier is Smart school uniform, and their shop is located in Newcastle Under Lyme.